Cars have really come a long way in the last 30 years. These days, it’s very uncommon that you will get into a new car that doesn’t have some sort of information or entertainment system. These systems exist to give drivers the ability to communicate with their vehicles. Whether a motorist is putting an address into the GPS system or simply changing the song on the radio, people are busy doing plenty of things besides driving when they are behind the wheel. While many of these systems allow for people to communicate without using their hands, there has been an increase in the number of accidents that are occurring because of distracted driving. Let’s discuss how these infotainment systems may be posing a risk to you and others on the road. Recently, a set of guidelines have been released by the National Highway Traffic Safety Administration in order to prevent so many accidents that are due to infotainment systems. The goal is to make these systems safer as a whole. The first guideline is that there should be built-in voice controlled functionality in order to allow drivers to keep their eyes on the road at all times while they are behind the wheel. The second guideline aims to address the threat posed by aftermarket technologies that are used far too often in many vehicles. Can Anything Be Done To Prevent Distracted Driving? Unfortunately, it seems that even with these guidelines and other safety precautions in the works, there simply might not be a way to make these infotainment systems safer as a whole. This is because a distracted driver is dangerous no matter how hands-free it may seemingly be. 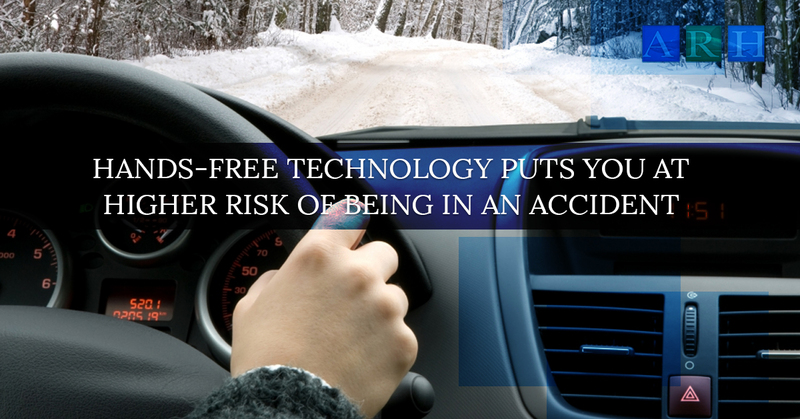 The sheer ability to use any sort of technology when driving has had and continues to have a devastating effect on road safety, as it has continually led to accidents and risk of accidents. This is disappointing seeing as how the invent of hands-free technologies like these infotainment systems were originally invented to lower the number of vehicle accidents due to distracted driving. While seemingly great in theory, the use of these systems actually may increase the number and frequency of interactions that people have with their phones or other technologies while they are driving. Did you know that a driver who is distracted by something as simple as a phone call will miss approximately 50 percent of what is happening around them? Even if your eyes are on the road the entire time, your brain may not be able to respond to those things as quickly as it should because you are focusing your main attention on the phone call instead of on driving. During the first half of 2016, there was a 10.4 percent increase in the number of fatalities due to car accidents. This is the largest increase in this percentage that has been noted in over 50 years. If you have been injured in a car accident because someone was using technology behind the wheel, you deserve to be compensated for the damage or injuries caused. Call the best personal injury attorney in all of Texas today and get the assistance you need. Alex Hernandez Trial Law is here to help. Simply call us today!